In this week’s edition of the Bovine Ska and Rocksteady, we kicked off the show with early reggae with Bob Andy’s beautiful “Unchained” as part of the show’s dedication to Bob Andy, who was stabbed in a robbery on 3/13/2015. Thankfully, his injuries were not fatal, and he is recovering and healing. In the second set of reggae, we heard a version-to-version of Shenley Duffus & The Upsetters cover of The Moonglows’ “Sincerely.” A hit on the U.S. Billboard R&B charts for Chess records, “Sincerely” gets a great treatment in reggae for Lion records. For the mento set this week, we were thrilled to share “De Buggy Bruck” from Louise Bennett’s album “Listen to Louise,” a new record discovered over the weekend. Before the spotlight on Joe Higgs, we focused on some ska gems before beginning the spotlight. In this ska set, we featured “Fire” from The Leaders, a trio long overdue for a spotlight on the BSR given that the group consisted of superstars Joe White, Roy Shirley, and Ken Boothe. After the set of ska, to kick off the spotlight on Joe Higgs, we presented his early solo recordings for Coxone’s Studio One. Joe Higgs began his music career with Roy Wilson in the duo Higgs &Wilson. The two lived on the same street and actually met and began their collaboration at a contest where eight solo contestants were to be selected from ten to move to the next round, but the promoter could not narrow the group down, so he asked Higgs & Wilson to compete as a duo. Together, Higgs & Wilson reached great popularity early, with their first single, “Manny Oh,” a production from Edward Seaga that sold 50,000 copies. Consequently, as a musician of note early in the Jamaican music scene, Higgs attracted a group of young musicians in his yard in Trenchtown, whom he mentored and taught. One of those musicians was Bob Marley and two others were Bunny Livingston and Peter Tosh. Beyond his teaching, Joe Higgs continued to perform with Roy Wilson and saw additional success with Coxone Dodd, who Higgs would continue to work with during his solo recordings after Roy Wilson emigrated from Jamaica to America in 1964. As part of a well known Jamaican duo, Higgs took a break from recording after working with Coxone as a soloist and performed as a guest vocalist for both Carlos Malcolm and Lyn Taitt’s groups on the hotel circuit. When he returned to recording, Higgs worked with a variety of producers, including Harry J and Rupie Edwards, who he recorded some of his finest solo records with. These were the tracks of the second set in the spotlight. Higgs also had his own label, Elevation, which he named after his own ability to elevate himself from a dark and hard world. From the Elevation label, we shared “Let Us Do Something,” a release that was as DIY as can be. Joe recorded multiple parts on the track, including guitar, in addition to singing. He also completed the lettering on the label by hand. In 1972, Higg’s song, “Invitation to Jamaica” won the Jamaica Tourist Board Song competition, which allowed his to tour the U.S. and also brought him further popularity, so much so that Chris Blackwell planned on releasing Higgs’ debut LP for Island Records that same year. This LP was “Life of Contradiction.” Blackwell did not release the LP because he felt it would be too difficult to market, but it was eventually released by Pete Weston’s Micron Music in 1975, and thankfully so because the songs on this record have amazing layers of rich sounds. “Mademoiselle” rounded off our spotlight on Joe Higgs as our favorite of his recordings. We hope you enjoy this show! Listen to the archive HERE. The archive will be available until 3/31/2015. Stay tuned for the show on 3/25/2015. It will be a celebration of the 1000th edition of the Bovine Ska and Rocksteady!!! This week was a special two hour retrospective of Derrick Harriott’s Crystal/Move and Groove Labels. Born in Kingston in 1939, Derrick Harriott was the youngest of 5 children. At a very young age, he sang in church, and eventually, his singing and performing would accelerate when he went to school. Derrick Harriott began his music career with his friend Claude Sang Jr with the duo, Sang and Harriott. The two attended Excelsior High School together, and in school, they would practice together and perform, wooing their schoolmates with their music, and in turn, their schoolmates encouraged the duo to enter the Vere Johns Opportunity Hour talent show in 1955. The two did not make the final round this initial time, but they would win it in 1957 and at a minimum manage to be in the finals after their first win. Despite their popularity in the live performance circuit, Sang and Harriott broke up when Sang left Jamaica for schooling. In 1958, Harriot formed the Jiving Juniors with Eugene Dwyer (bass), Maurice Wynter (Tenor), Claude’s younger brother, Herman Sang on piano, and Harriott on lead tenor and falsetto. The Jiving Juniors gained quite a bit of fame with successful performances on the Vere Johns Opportunity Hour, so successful in fact that they earned a special spot on the show. 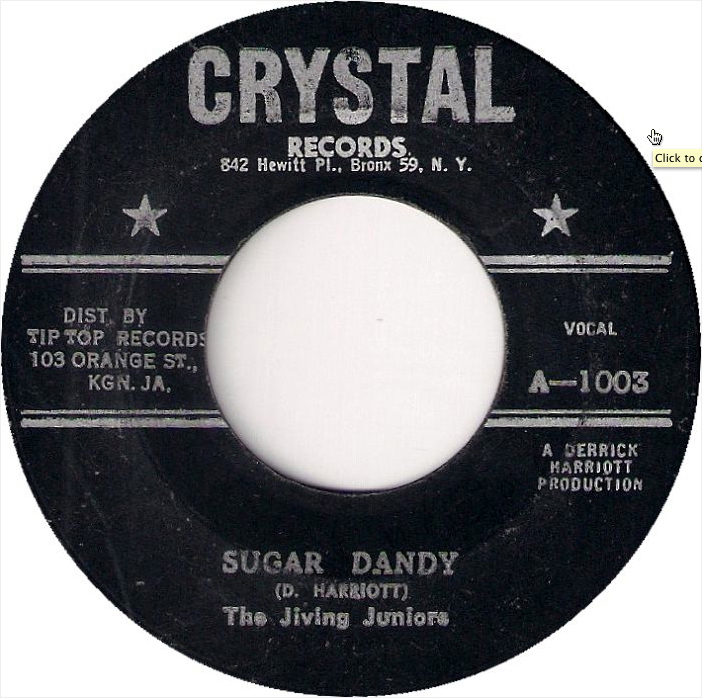 We started this two hour spotlight on The Crystal Label by playing four tracks from Derrick Harriott and the Jiving Juniors. The Crystal label, which was named supposedly because of “a fortune teller with a crystal ball… and crystal means very clear” Here, at the Crystal label, he would first release his own solo tracks, but he quickly began to record other artists. We also played one excellent solo track from Derrick, and then his early recordings for the Crystal label with other artists in ska such as Roy Panton and Don Levy. Very early in the label’s career, Derrick had a great eye and ear for talent, being one of the first to record many singers. Keith and Tex started with him, and they also helped recruit some talent over to Derrick, including who you just heard from, Rudy Mills, who was Keith Rowe’s cousin’s husband, and Keith brought Rudy over to Crystal to first record. Backing up the vocal artists and recording a many instrumentals of their own, were The Crystalites, Derrick’s house band, which had a rotating line up, but Derrick selected from an amazing pool of session musicians including: Barry Biggs, Bongo Herman, Gladstone Anderson, Jackie Jackson, Larry McDonald, Lynford Brown, Paul Douglas, Wallace Wilson, Winston Wright. By 1970, Derrick had really built up a reputation as a strong producer, so much so that his output that year would gain him the title of the best producer of 1970 by Swing magazine. We then played The Ethiopians No Baptism next, which was a highlight from a great year of productions and a hit for the Crystal label. As mentioned before, Keith and Tex got their start with Derrick Harriott and gained quite a lot of fame with him, who in addition to singing their tracks for him, they also sang harmony for other Derrick Harriott productions. Stop That Train was an enormous hit for them, so much so that other DJs who came to the Crystal label would toast on them. Another DJ that had success on Crystal was Scotty, born David Scott, originally started singing with Valman Smykle and Franklin Spence in the rocksteady group, The Federals, but he would come into his greatest prominence as a DJ/toaster for Derrick Harriott’s Crystal label. He would toast on versions of early hits from the Crystal label, like the version of Stop that Train heard in the first hour of the show. Now then played another version to version. We then heard Scotty toasts over his boss’s hit “The Loser.” Scotty was given the full LP treatment by Derrick on the Crytal label in 1971 with a collection of his best toasting on the album School Days. In 1966, Derrick opened up Derrick’s One Stop record shop on 125 King Street, making him one of few singers who produced, ran his own label and his own record shop. The name One Stop was perfect because up and coming artists could go to the shop to pitch music to Derrick, and he could record them and sell the record in his own shop. 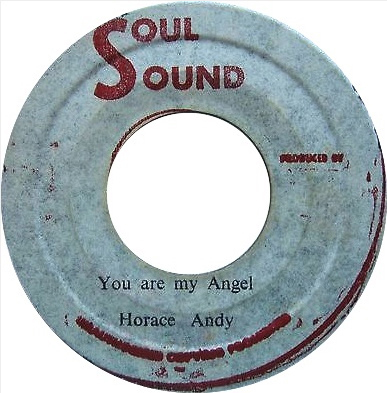 In addition, visitors to the shop were attracted to the big hits on other labels in stock, but given that they stepped into Derrick’s shop, they could also gain more exposure to the Crystal label releases than they would in other record shops in Kingston. This record shop extension of Derrick Harriott’s work would help further Derrick’s success as more and more hits were released on the his labels. This was a fun show and we were more than thrilled to send it out to all of you. Starting off with a deep cut from the late sister of Alton Ellis, Hortense Ellis gave us the superb 1970 track, “Love Is The Key.” We continues with two full sets of early fast reggae ending with Gladdy Anderson’s 1969 vocal cut for Duke Reid, “Dollars and Cents,” which was released in England on the might Trojan label. As this week was without major snow for the first time all month, we felt the need to have a joyous spotlight in the form of a Roy and Millie spotlight. Born in Clarendon, Jamaica to a sugar plantation overseer, Millie Small began her music career on the Vere Johns Opportunity Hour. After winning the contest, Millie decided to move to Kingston for a greater opportunity to record and perform. As a young teenager, she first recorded Sugar Plum at Studio One with Owen Gray in 1962, which Roy Panton harmonized with her on because Coxone Dodd wanted a stronger voice on her part because Millie’s voice was much higher than other female voices. And after that initial collaboration, Coxone, seeing the success of the male-female duo through Derrick and Patsy, he suggested Roy and Millie sing as a duo, which was a good instinct; they would see so much local success and popularity together that Millie would eventually capture the attention of Chris Blackwell, who led her to her mega hit in England, My Boy Lollipop. 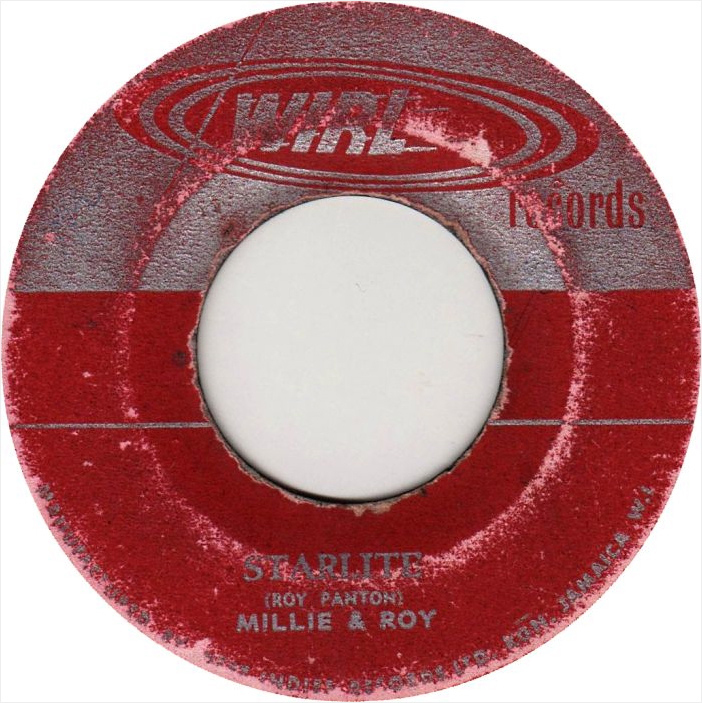 We begun this spotlight on Roy and Millie, starting off with their first recording as a duo together, “We’ll Meet,” which was a debut hit for them that rose to the top ten of the Jamaican charts in 1962. They would record many times afterwards Roy Panton would continue his recording career as a solo artist and with Yvonne Adams (Harrison) and they still perform to this day. Sadly, the whereabouts of Millie Small are unknown. We know that she emigrated to England and has a daughter but little else is known. In 2011, Millie was awarded the Order of Distinction in Jamaica but the former Prime Minister, Edward Seaga, excepted it for her in her absence.